A dynamic JISC-funded website is providing current students with a platform to interact with potential students to give them an accurate and honest forecast of life at university. 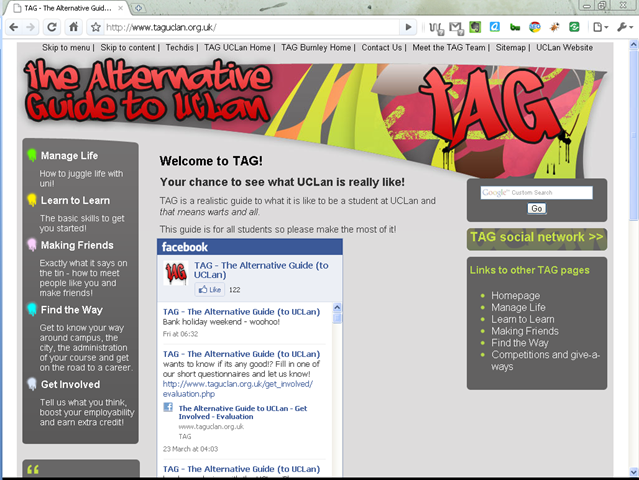 The Alternative Guide (TAG) to the University of Central Lancashire (UCLan) site ensures students starting university for the first time develop realistic expectations of higher education as well as making sure they understand what the institution will expect from them. The website includes practical advice for new students on everything from timetables to personal finances and homesickness in the form of case studies, articles and films, as well as a video tour of the university campus and interactive map to help them get around and diagnostic testing to help with course selection. 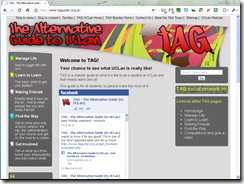 The platform is not just limited to UCLan – current student responses to the website show the initiative is set to be a huge success, so JISC has also funded two further bids to pilot the introduction of TAG in other universities.